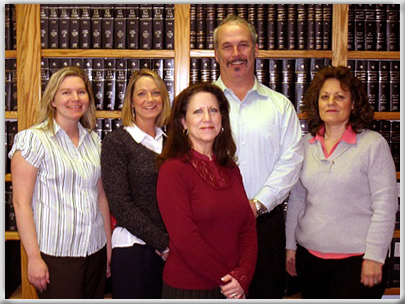 Serving Northern Nevada for over 50 years, Cartlidge, Cartlidge & Company, LLC is the oldest, privately held CPA firm in the area. We focus on building close client relationships that add long-term value and are committed to providing our clients with the highest caliber of professional accounting, tax, financial management, and wealth management services. Our services are designed to make your job easier and provide you with more time to focus on building what is important to you. We provide professional tax preparation, consulting and financial services for both businesses and individuals. We specialize in professional tax services, IRS problem resolution, accounting and bookkeeping, financial statement preparation, new business set-up, business consulting, retirement planning and financial services. Not sure where to begin? We offer a FREE half hour initial consultation. Call us today at 775-826-3496 and ask for Al regarding our accounting and tax services. Whether you are a start-up business or a well established enterprise, we have a wide range of accounting and consulting services to meet your needs and help you achieve your financial goals. No matter what your personal accounting and finance needs may be, we have the knowledge and experience to provide you with professional guidance and service you can trust. For over 15 years Cartlidge &Cartlidge has, year in and year out earned my respect and trust. I simply cannot overstate the value of peace of mind. I would recommend them without any hesitation!